hearts and rainbows. 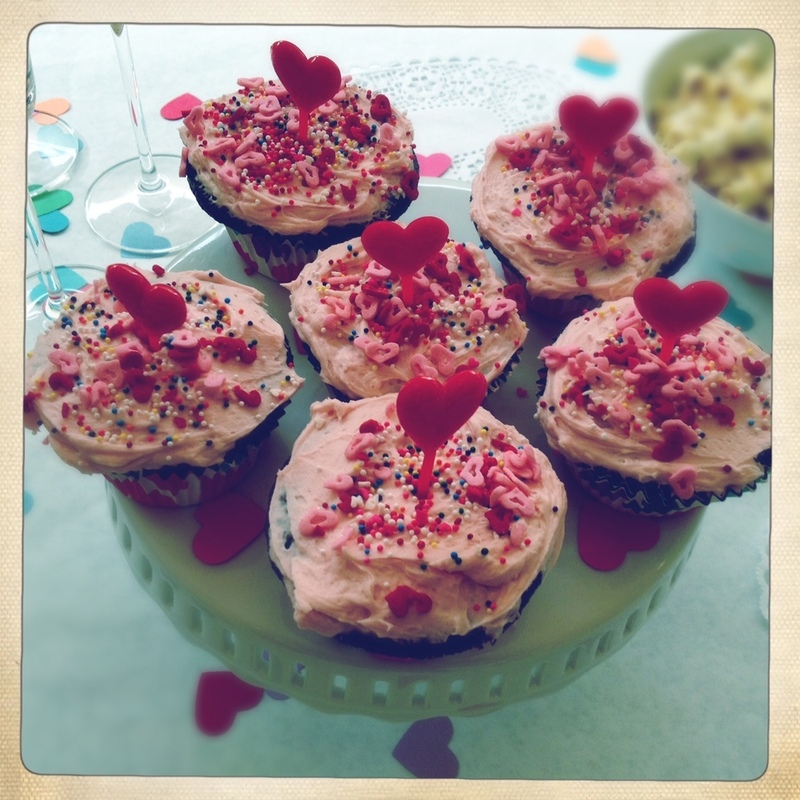 a valentine party. When we first started talking about Valentine's day towards the end of January, Clementine pretty much gave me the play by play of last year's hearts and crafts celebration and asked if I would make an obstacle course just like that again this year. How could I say no? At least I already had a plan. I just had to switch up the theme slightly. This year was a bit less (pink) exclusive; all the colors of the rainbow were welcome to the party. Call it nostalgia, but rainbow hearts really make me smile! Thanks to all the heart shape paper cutters out there we were able to create rainbow heart confetti in no time. I put some in clear balloons and hung them above the table. Love this! I think clear balloons are my new favorite. For snacks we had crackers with heart shaped cheese, popcorn, cupcakes, and milk in mason jars with a pink heart-milk-ice-cube (melted before I could photo!). I backed away from cookies and candy and made a big rainbow heart out of fruit (and carrots). LOVE! Our valentine mailbox was a frog again, except this year he was a prince, of course. And we all know that every frog prince needs a special kiss from a princess. I created a (funny looking) princess on the wall out of tissue and crepe paper, some google eyes, and an old broken crown. Except she needed lips in order to kiss the frog. In their first go at a 'pin the something on the something that involved a blind fold' the girls tried to pin the lips in the right place. Afterwards, they hopped on hearts to the bubble wrap pond and swam with the (funny looking) fish, and slid under the rainbow tassels to get to the frog. They carried him over to the princess, picked him up so she could kiss him and then pretended he turned into a prince as they emptied their homemade valentines out of the box to read. Before they began bejeweling their crowns and after they had a snack, we had a little make up session to transform them into princesses. Then, they were ready to personalize their homemade crowns and venture off to the land of make believe where they lived happily ever after, of course.